Read our useful guide on orangeries for bungalows and let us put you in the right direction. Are you looking for orangeries for bungalows? Many different orangery designs are suitable for bungalows. So having a smaller property does not mean that you are unable to benefit from having an extension. Installing an orangery for your bungalow is a difficult task due to the height restrictions. So, it is essential to find a local installer that specialises in this form of installation. Conservatory Online Prices can help put you in the right direction. What is an orangery for bungalows? An orangery is a high-end luxury structure with a brick base and a flat, centralised roof lantern. The orangery extension is a traditional atrium-style conservatory. With its brick structure, your orangery can feel like a continuation of your home, as opposed to an additional extension. An orangery for bungalows is a popular home improvement solution for homeowners. Their popularity is due to helping to increase the space in their home luxuriously. While still providing a sufficient level of privacy to your home, then a traditional glass conservatory will. 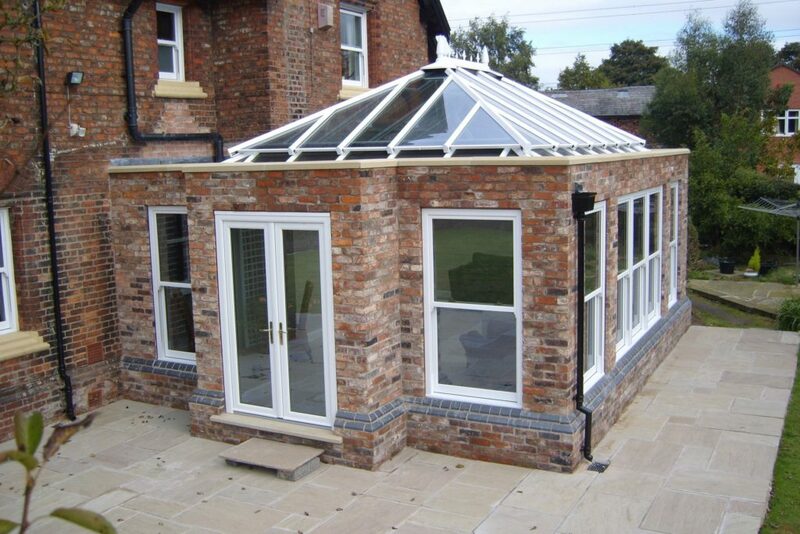 Orangeries traditionally consist of brick walls with a flat roof composed of one central roof lantern. However, an orangery design can be adapted to suit your home style, and this includes for bungalows. An orangery can be designed to look like an additional room in your home. Typically, orangeries add an additional lounge, dining area, office, playroom or gym to your home. You can do this by correctly matching the exterior of the orangery to the design of your bungalow. All orangeries can be made fully bespoke, through the roof, windows or doors and therefore allows you to create a unique addition to your bungalow. Although there are more limitations to the size of your orangery for your bungalow, you can still select the size and shape. Orangeries for bungalows can create a wide range of benefits for your home, including the fact they blend in seamlessly with your property. An orangery can provide you with a more energy efficient, spacious bungalow. Although orangeries traditionally feature brick walls, orangeries can adapt to create more natural light in the home. Save money on your energy bills by reducing the amount of artificial light in your home by opting for the ceiling to floor glass windows. Orangeries can increase the thermal efficiency in your home, keeping your bungalow warmer for longer. Orangeries for bungalows can significantly trap warm air inside, which can help reduce your energy costs as well as your carbon footprint. An orangery can increase the value of your bungalow by up to 7%. Not only are orangeries for bungalows an attractive extension, but they have a wide range of features and benefits for your home. Extend the space in your home with the addition of an orangery for your bungalow. Adding an orangery to your bungalow will mean you do not need to worry about draughts or leaks. An orangery installation consists of double glazing that prevents mould or mildew issues from arising. The double glazing used within an orangery helps to eliminate the build-up of condensation. When it comes to orangery planning permission, orangeries for bungalows are viewed in the same way as a conservatory by the Local Planning Authorities. There is a range of limitations of an orangery that you need to bear in mind when designing your extension. An orangery cannot be built any further forward than the sidewall of your bungalow. 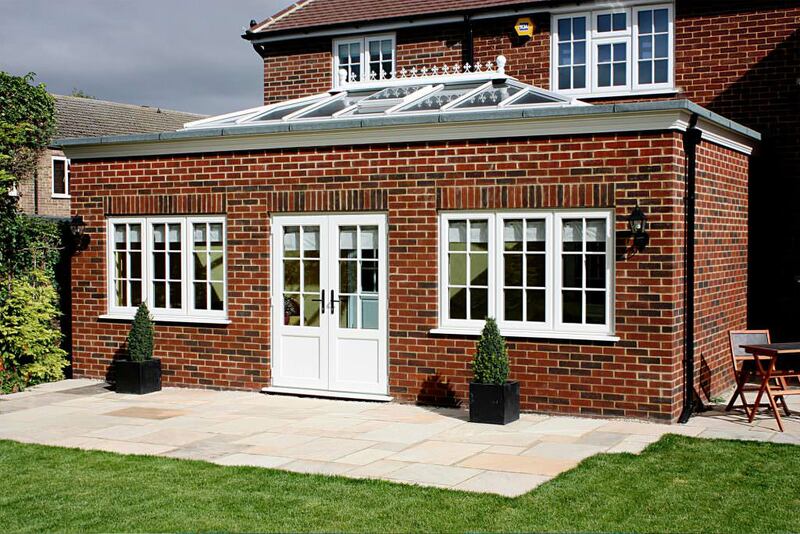 If you decide to develop your orangery to the side of your property, then it cannot be wider than 50% of your home. The size of your orangery cannot be larger than the total land that surrounds your home. The orangery should not exceed the height of your bungalow. Orangeries are usually just single-storey and should not, therefore, exceed 4 metres in height. How Much is an Orangery? The average for an orangery cost can range between £20,000 up to £84,000. The main factors that can affect the cost are the selection of material, size, style, design and more. There is a wide range of additional features including windows, doors, glazing options, colours, finishes and hardware accessories, which can also factor towards the orangery cost. Are you looking for an orangery in your bungalow? We can provide you with a free orangery extension quote from local, trusted and recommended suppliers with Conservatory Online Prices. Calculate the cost of an orangery for your bungalow by using our orangery cost calculator. Our cost calculator will provide you with a free, instant online bungalow orangery quote. Or alternatively, contact us and speak to one of our expertly trained staff for all your orangery queries. Orangeries have more solid wall and roofing than a conservatory. This means they are able to retain more heat in the Winter and stay cooler in the Summer. However, modern conservatory extensions such as a tiled roof conservatory or solid roof conservatory, can offer just as much warmth.